Does a cat’s personality predict its hunting? All pet owners know that every animal has its own personality. Some are shy, some are bold, some get freaked out by cucumbers. 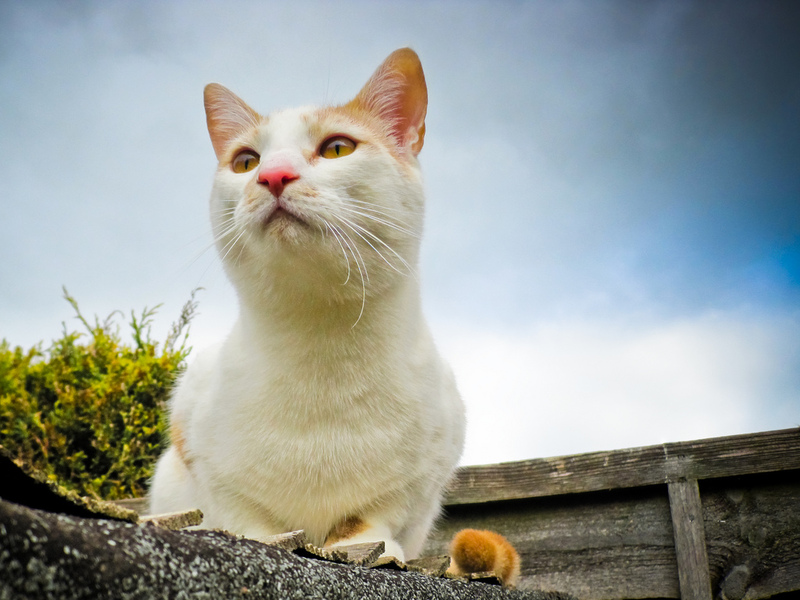 We also know that cats vary in their hunting interests and ability, meaning that certain individuals might be a much bigger problem for native wildlife than others. We want to see if we can find a link between cat personality and the amount of wildlife they kill and eat. First, the personality – working with colleagues at Discover Circle in Australia, we have implemented a survey you can take to evaluate your cat’s personality. For example, how often do you think your cat acts in a vigilant manner, i.e. is spending time paying very careful attention to its surroundings? Or maybe how often does your cat act affectionate? With these and many other personality traits we can compile a report showing your cat’s personality along the “Feline Five” big traits compared to other cats within a week or so after the test is complete. Second, the mouse murdering. For this part of the study we are relying on the principal ‘you are what you eat’. We want to compare the isotopic makeup of your cat with its food. If they are a perfect match, we know mittens has been only eating what you give it. If there is a mismatch in the isotopic signatures, we suspect mittens has been out hunting birds and mice. Fortunately, we don’t need your entire cat for this test, just a hair sample, along with a bit of its kibble in a baggie. To learn all the details of this project and sign your cat up please check out the Isotope Analysis Protocols page. Finally, if you do let your cat out, we’d love to know exactly where your cat is going with our GPS tracking study. For this you need to buy a $50 GPS unit, but your payoff will be seeing amazing maps of what your cat is doing when it leaves your house. You’ll also be contributing important data to our international effort to study cat movement. Learn more and sign up here. 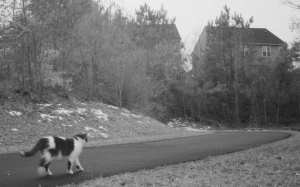 A cat walks along the Raleigh greenway, image captured by an eMammal camera trap. We would love to get all types of data (personality, diet, and movement) from your cat, but don’t require you to do all three – any contribution is helpful. In fact, our survey even has questions for non-cat owners, so please share it with your friends to help us judge the attitude of people towards cats. Together these data will help us learn more about pet personalities and how they relate to a cat’s potential impact on native species. They might also help you discover just how unique your cat is. This post was written by Brandon McDonald, third-year undergraduate researcher at NC State majoring in Zoology and works in the Biodiversity Research Lab at the North Carolina Museum of Natural Sciences on the Cat Tracker project.